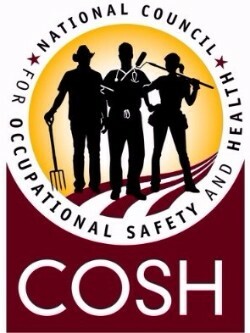 Worksafe is part of the National Council for Occupational Safety and Health, better known as National COSH. We belong to a federation of local and statewide COSH groups - private, nonprofit coalitions of labor unions, health and technical professionals, and others interested in promoting and advocating for worker health and safety. Visit National COSH's website to learn more about the important work we are doing with partners at the national level.